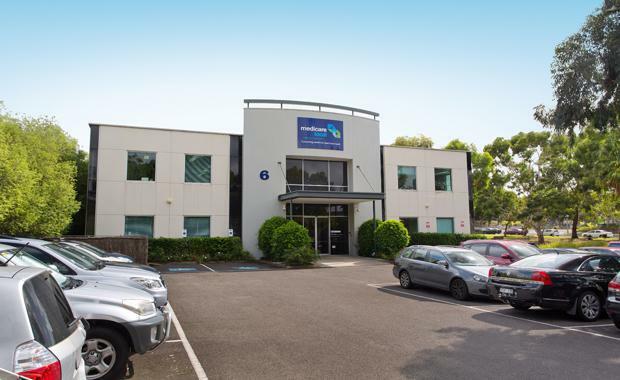 A private Malaysian investor has acquired a Burwood East office building for $6.8 million amidst a flurry of activity which has seen almost half the buildings in the Tally Ho Business Park change hands in the past two years. MP Burke Commercial directors Pat Burke and Michael Pound have sold 6 Lakeside Drive on a yield of 6.86 per cent alongside Colliers International’s Peter Bremner. The two-level 1,526sqm office building, which is 100 per cent leased to the Melbourne East General Practise Network Ltd, is situated on a 3,367sqm site fronting both Lakeside Drive and Burwood Highway and offered with 51 car parks. It is the seventh of 15 office buildings to have sold within Tally Ho Business Park in the last two years. “These sales have totalled $63 million with yields ranging from 6.85 per cent to 9 per cent, dependent on lease profile,” Mr Bremner said. “The majority of buyers have been local private investors and Colliers International has negotiated three of these recent sales. Mr Burke said 6 Lakeside Drive was an ideal investment opportunity, particularly given the attractive long term lease to a market leading company within one of Australia’s fastest growing industries, health. Mr Pound said Burwood East was a location of choice for companies leading the way in telecommunications, multimedia, health and information technology.